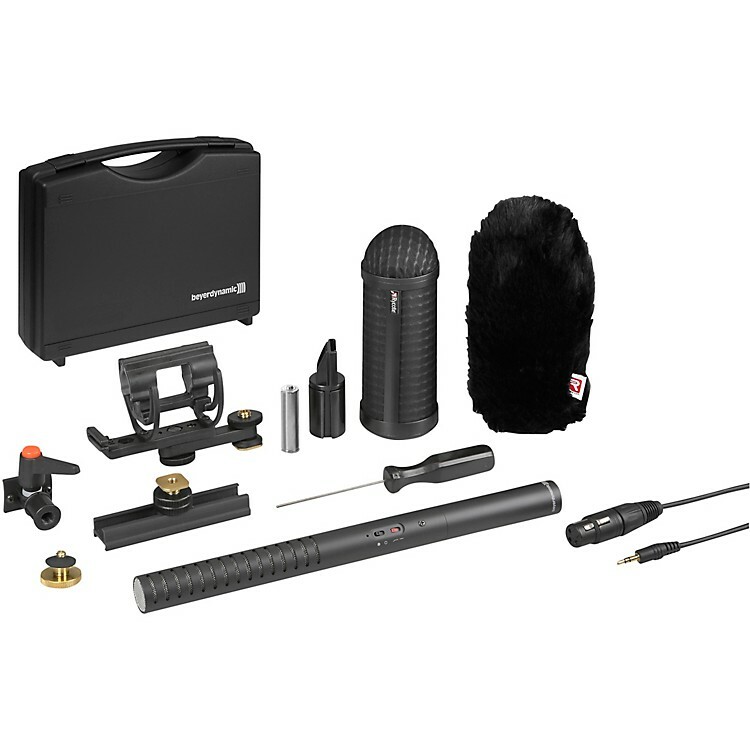 The MCE 85 BA Full Camera Kit includes not only a microphone and clamp, but also all of the essential accessories and adapters for you to get started immediately. In addition to base rails and hot shoe adapter, a pop shield with wind muff completes the high-quality set. Developed for professional indoor and outdoor audio recordings, the MCE 85 combines superior quality and excellent polar patterns in a rugged yet lightweight aluminum housing. A high-quality electret condenser microphone capsule inside the shotgun microphone ensures exceptionally precise sound reproduction. With a battery life of 160 hours, the MCE 85 BA is prepared for lengthy recording sessions and long trips even without phantom power. The ON-OFF switch saves energy and prevents the battery from draining if you are not using the microphone for a longer period of time.